The new hydrographic survey vessel for the SA Navy. 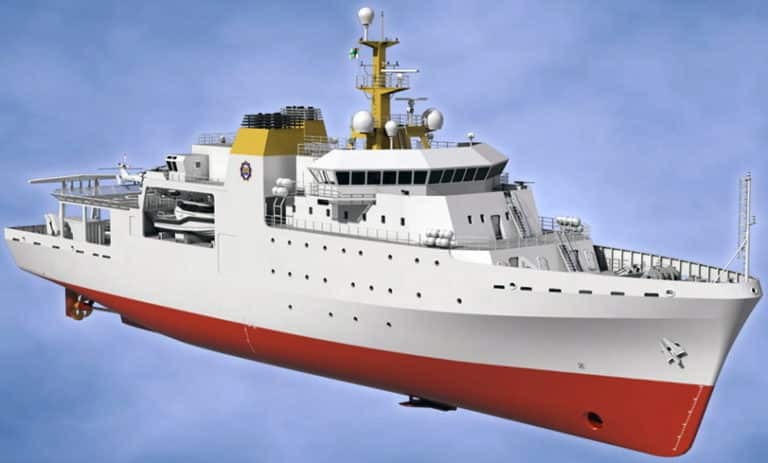 Teledyne CARIS has announced they will be delivering a full software solution to the South African Navy’s Hydrographic Office as part of Project Hotel for a new hydrographic survey vessel. The company on 21 March said the solution, provided through Teledyne CARIS’ official distributor Unique Group, includes software that will be implemented as part Project Hotel that is being executed by Southern African Shipyards (SAS). Three additional survey motor boats are also slated for manufacture, all of which will be equipped with HIPS and SIPS hydrographic data processing tools. During the project, the shore based South African Navy Hydrographic Office will be refurbished and Bathy DataBASE (BDB) and Hydrographic Production Database (HPD) will be implemented to manage hydrographic data and produce nautical products like paper charts, electronic navigation charts and other digital products.